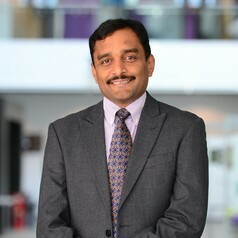 Nachi Chockalingam is a Fellow of the Institute of Physics and Engineering in Medicine. He is a Chartered Engineer, a Chartered Scientist and a Principal Fellow of the Higher Education Academy. As Professor of Clinical Biomechanics, he leads biomechanics research at Staffordshire University, UK. He is also an Affiliate Professor at the University of Malta and a Visiting Professor at Sri Ramachandra University, Chennai, India. His research encompasses all aspects of human form and function with a specific focus on technologies and techniques for the clinical assessment of musculoskeletal conditions. He has led large international projects and has numerous research outputs to his credit. He has several editorial positions and lectures extensively at various international meetings. Some of his latest work focuses on diabetic foot complications.